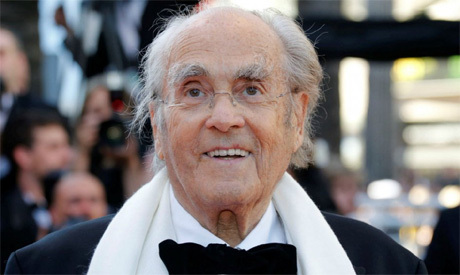 Prolific French composer Michel Legrand, who won three Oscars and five Grammys during a career spanning more than half a century, died aged 86 on Saturday, prompting an outpouring of tributes for his "inexhaustible genius". Legrand's music spanned a wide range of styles and genres. He composed for more than 200 film and TV productions and was associated with over 100 albums. "Since I was a child, my ambition has been to live completely surrounded by music, my dream was to not miss anything, which is why I have never focused on a single musical discipline," he once said. He first won an Academy Award in 1969 for the song "The Windmills of Your Mind" from Norman Jewison's hit thriller "The Thomas Crown Affair". He followed that with Oscars for his music for "Summer of '42" in 1972 and for "Yentl" in 1984. Legrand, who had been scheduled to stage concerts in Paris in April, died at his home in the French capital early Saturday with his wife, the actress Macha Meril, at his side, his spokesman told AFP. French President Emmanuel Macron paid tribute to the "inexhaustible genius" of Legrand, whose "inimitable tunes" became "the soundtrack of our lives". "He was one of the greatest French musicians and composers and one of the world's most famous creators of film music," Macron said in a statement, passing on his condolence's to Legrand's family. The list of stars who performed Legrand's pieces over the years reads like a who's who of 20th-century music. It includes jazz musicians such as Miles Davis, John Coltrane and Bill Evans and singers as varied as Frank Sinatra, Kiri Te Kanawa, Barbra Streisand and Nana Mouskouri. He won five Grammys from 17 nominations, including one for the theme from "Summer of '42". French composer and conductor Vladimir Cosma told AFP that "for me, he is immortal, through his music and his personality". "He was such an optimistic personality, with a kind of naivety in optimism, he saw everything in rosy colours!" Born on February 24, 1932, into a musical family near Paris, Legrand started out by playing the piano songs he had heard on the radio. His father Raymond Legrand was himself a composer, and although he left the family home when his son was only three he was later to help him launch his career. His mother, of Armenian origin, enrolled him at the Paris Conservatory from age 10. He was to spend seven years there, before graduating with top honours in 1949. "For me, who hated life, when I first came to the Conservatory I crossed the threshold into a magical world where the only question was music," he said. The end of World War II saw jazz take off in a big way in France, and Legrand became hooked after hearing a performance by the American trumpeter Dizzy Gillespie. Legrand's first album, "I Love Paris", produced in 1954 by an American label, propelled him to worldwide fame. In the late 1950s and 1960s he worked on what became known as French New Wave cinema, scoring films for directors Jean-Luc Godard, Jacques Demy and Agnes Varda. Varda said she felt the loss "in her heart", hailing the "artistic adventure" Legrand had with her husband Demy, including "The Umbrellas of Cherbourg" and "The Young Ladies of Rochefort", for both of which Legrand was nominated for Academy Awards. Legrand also wrote the music for the Joseph Losey film "The Go-Between", which won the Golden Palm award at the Cannes festival in 1971. In 1966 he moved to Los Angeles with his family. "It was a real risk to leave France, landing in Hollywood without real commitment," he wrote in his 2013 autobiography, describing this step as "part of Russian roulette". In the 1980s and 1990s Legrand continued performing live with his own jazz trio. He also set up and led a big band which he took on several international tours, accompanying stars such as Ray Charles, Diana Ross, Bjork, and Stephane Grappelli. Streisand said having spent time around the piano with Legrand had been one of the "highlights of my life in music so far". "His contribution to music is immeasurable. He enchanted and warmed the hearts of everyone and his legend and great music will live on," she said on Instagram. Legrand was married three times. With his first wife, Christine Bouchard, he had three children.